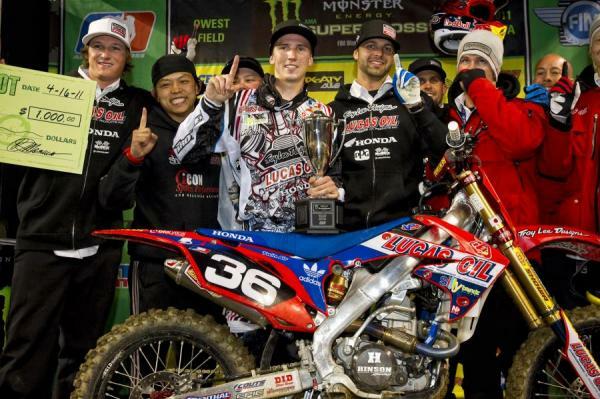 With another wire-to-wire triumph in Seattle, Cole Seely is now a two-time career winner in AMA Supercross Lites. We spoke to him after the race to get some Insight on Seattle. Racer X Online: How much of a confidence boost was it being able to get the call up to Team Honda? Cole Seely: It was good. It’s definitely an amazing feeling to get to ride for those guys, and they kept it fun. I enjoyed the experience. So was that boost a big factor in getting the win tonight? You know, I think the biggest thing was getting some experience on the east coast tracks. I’ve only ridden west coast, and I got to ride some of the softer, more rutted tracks. And I did it on a 450. So on this track, it was really rutted, and I think I was more comfortable as soon as I got on it because I had ridden on those softer, rutted tracks on the east. 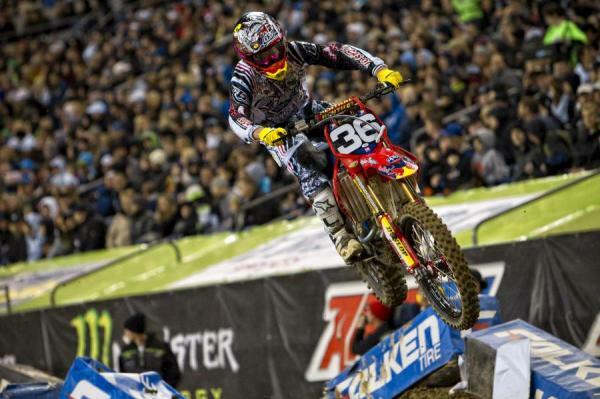 Seely lead wire-to-wire in Seattle for his second career SX Lites victory. Was this a matter of making yourself enjoy the conditions and just trying to have fun with it, instead of worrying about the ruts? Were you mentally prepared for it? I don’t even know if it was the way I felt before it or my confidence or anything. It was more just the way I felt as soon as I got out on the track. It was tough, you had to be careful with your lines, but I was okay with it. Take us through the night. Well, it started with a really good heat race. I really wanted to do that. I had a good battle with Tickle and we went back and forth a bit. It was fun but I was able to win it. That gave me a good gate pick for the main, and I was just feeling good. After I got the holeshot I just tried to put in good laps. I actually didn’t know I had that big of a lead, I was still really pushing, and I thought those guys were right behind me. I was getting into lappers and yelling and screaming at the guys, revving my engine and everything trying to get them out of the way. I didn’t know I had a lead like I did. I was kind of surprised. Do you not read your pitboard? I do, but he only puts lap times on it, not the gap. He thinks if he puts the gap, I’ll be tempted to back it down too much. So I didn’t know I had a good lead, and then finally I one point I looked over and saw Tickle and he was over in the other lane. It wasn’t until then that I knew I had a big lead. 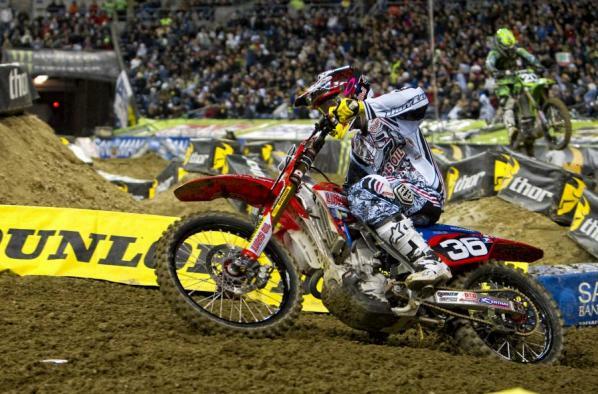 Seely dominated the field en route to victory in Seattle. With two wins, do you pretty much feel now that any time you go to the gate you can win the race? Yeah, I do, and that’s a strange feeling for me, because, in maybe the last ten years of racing, I’ve never really had that feeling. I mean, I wasn’t winning all the amateur races, and I even had some time off where I quit and stuff, so I’m not used to going to the line feeling like I can run with anyone. It’s a good feeling though. I’m still kind of surprised I’m here! So how does this compare to that first win in LA, though? Was this more expected? Well, the first one was definitely sweet. That’s always good. But this one was good, too, because I had a bunch of bad races in between. Oakland and San Diego, they were tough races and I wasn’t able to really capitalize on that win in Los Angeles. So it feels really good to reestablish myself and get back up here again. You had one big mistake out there, maybe the third or fourth lap you caught a rut and got sideways before one of the triples. Was that a scary one? Actually yeah, I don’t think it was as bad as it probably looked from the outside. I managed to save it but I never really felt like I was going to crash or anything there. I was still just trying to put my head down and go, because I didn’t realize I had built up that kind of a lead. Seely celebrates his second career victory. So, we’ve gone over this before, but what can you point to as a reason for your drastic improvement over the last two years? It’s like you have the magic formula everyone wants, and I’m going to guess that, like so many others say, it’s not just because you started training or working harder. I think the biggest factor is just trying to enjoy it more and not put so much pressure on myself. I’ve said it before, I got burnt out, my dad was putting a lot of pressure on and spending a lot of time and money getting me to the races. I took a little time off and started riding again with my friend Lance Coury. We were just going to the hills and riding for fun, and when I came back, I enjoyed it a lot more. My dad didn’t put so much pressure on me anymore, either. Yeah but dad has to be pumped with how well you’re doing now. You’re winning races! Yeah, he’s definitely pumped that I’m doing good, but I think he’s just most happy that he doesn’t have to maintain my bikes anymore! That was a lot of work, now he just gets to sit back. I think that would make anyone happy.